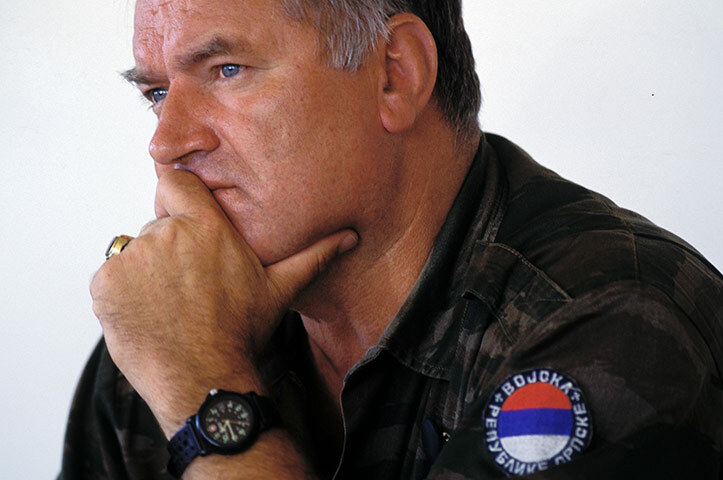 Ratko Mladic - who is a.k.a. 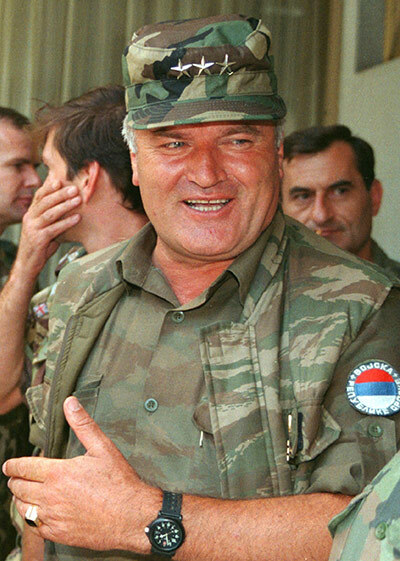 as 'the Butcher of Bosnia' - is the former Chief of Staff of the Army of the Republika Srpska (the Bosnian Serb Army) during the Bosnian War 1992–1995. In 1995, he was indicted by the International Criminal Tribunal for the former Yugoslavia (ICTY) for genocide, war crimes and crimes against humanity. He was a fugitive until he was arrested by Serbian security forces on May 26, 2011 in Lazarevo, Serbia. 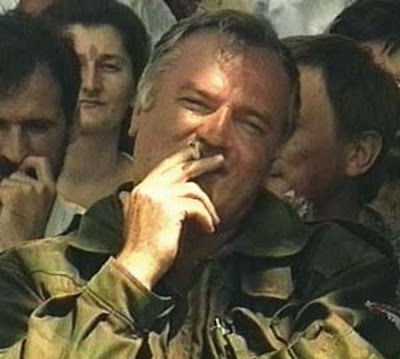 Re: PHOTO GALLERY - Ratko Mladic: into the hands of the former Bosnian-Serbian army chief! Ratko Mladic, today at the International Criminal Tribunal for the former Yugoslavia war - LOCATION: The Hague, The Netherlands.